I was a recent artist of the month at Rossmor where I had six paintings on exhibit. Rossmor is a community in Walnut Creek, California with over 10,000 residents. 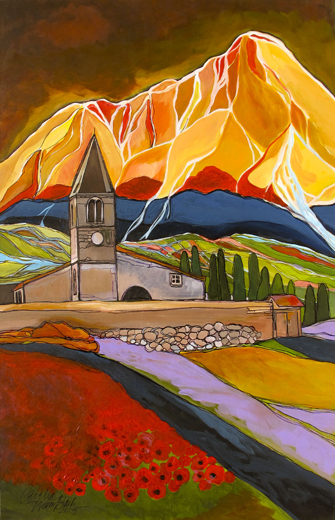 Below is one of the paintings from the show, Italia – The Mother Land, acrylic on canvas.